Miller Timber Services, Inc. has a 2018 Peterbilt Service Truck available for the next qualified heavy equipment mechanic hired. 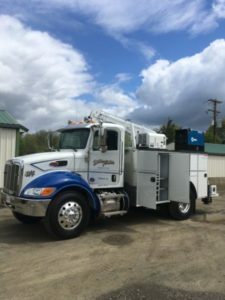 This new truck does not require a CDL to operate it, but you must have a current driver’s license, clean driving records and be insurable on our company auto insurance. As a heavy equipment mechanic for Miller Timber, you can expect to make anywhere from $65,000 to $95,000 per year. 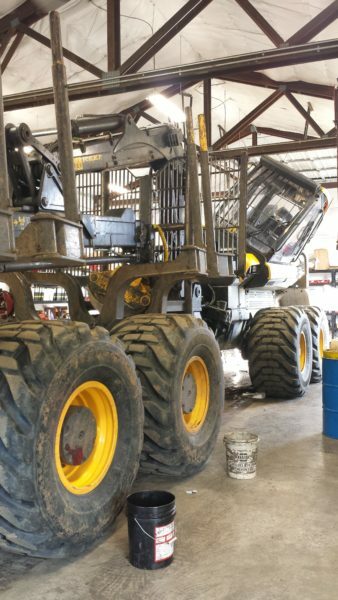 We have over 20 Ponsse machines in multiple locations that need serviced on a regular basis. Traveling between Oregon, Washington and California may be required. A mechanic with Miller Timber Services, Inc. is expected to maintain, diagnose and repair the equipment within the company which could include pickups, trucks, and equipment onsite and in the shop with little to no supervision in a timely and efficient manner, after the training period. Use hand tools such as screwdrivers, pliers, wrenches, pressure gauges and precision instruments. Use of powers tools such as pneumatic wrenches, lathes, welding equipment, jacks and hoists. Perform routine maintenance such as changing oil, checking batteries, lubricating equipment and machinery, adjust and reline brakes, align wheels, tighten bolts and screws, and reassemble equipment. Inspect, test and listen to defective equipment to diagnose malfunctions using test instruments such as handheld computers, motor analyzers, chassis charts and pressure gauges. Examine and adjust protective guards, loose bolts and specified safety devices. 5 years practical experience with heavy equipment maintenance preferred. Specialized training and experience in the overhaul of major components (engines, transmissions, differentials) preferred. Proficiency in the use of all tools of trade (including welding equipment, paint equipment, shop machines and power tools) required. Current driver’s license, clean driving record and insurable required. Willingness to work required schedule, which includes weekends and late nights as needed. Miller Timber Services, Inc. offers competitive wages, health benefits, retirement, year round work and an opportunity to grow with the company.